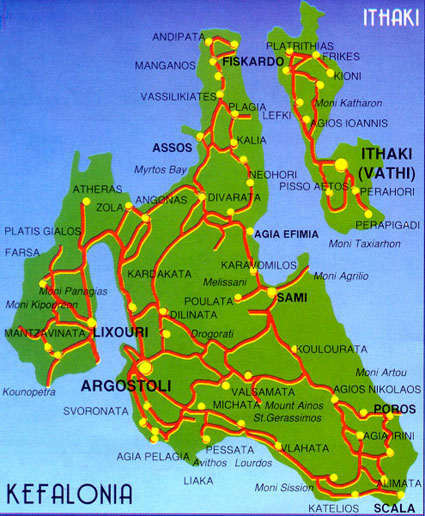 Below is a map of Kefalonia which you can use to find your way around the island. The yellow dots mark local towns and the red show the main routes by road. Kefalonia has a wonderful range of holiday accommodation. From chic hotels, private villas with infinity swimming pools to traditional Greek houses with stunning sea views. Use the controls in the top left to zoom in on different areas of the island and switch to satellite view to see Kefalonia in ariel photo form.